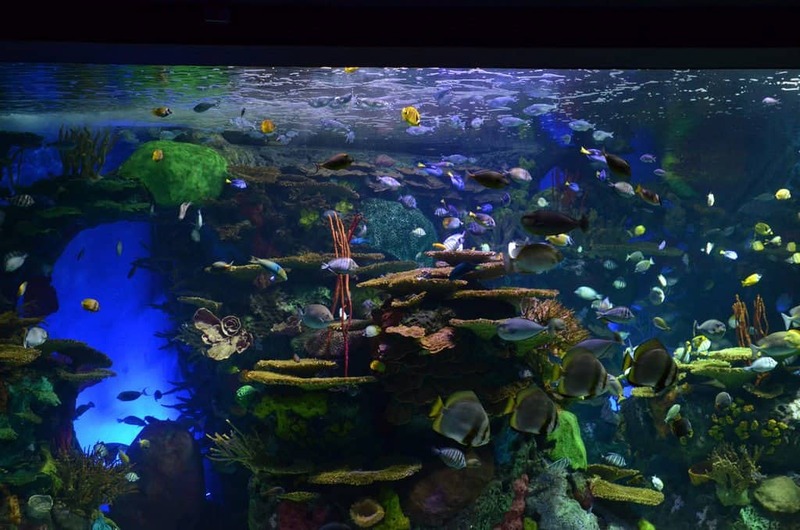 Caring and maintaining an aquarium is a job, a tough job. And when you have a monster size of an aquarium, it gets only worse. 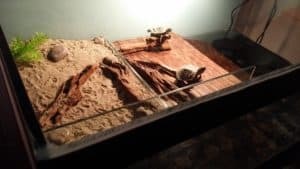 And here’s what’s even worse: slacking off and letting the tank rot! 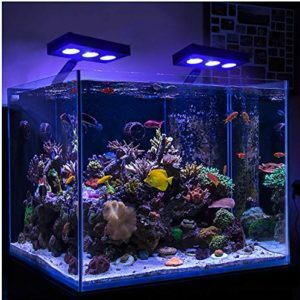 If you are someone who has a fish tank, specially a marine or saltwater tank, that is too big for manual cleaning, then you need a protein skimmer. These things are a MUST if you have a large aquarium! And one of the most talked about devices in the market happens to be the Bubble Magus BM-Curve 9 Protein Skimmer. But we are not here to run with the crowd. We are going to see and test the Bubble Magus BM-Curve 9 Protein Skimmer for ourselves to find out if the product is truly as competent as it is said to be. Don’t dive in blindfolded. Stay with us and keep reading to find out if the Bubble Magus BM-Curve 9 Protein Skimmer is worth your time and money. Let’s start! Let’s kickstart the analysis by, fist and foremost, getting to the product a little better. 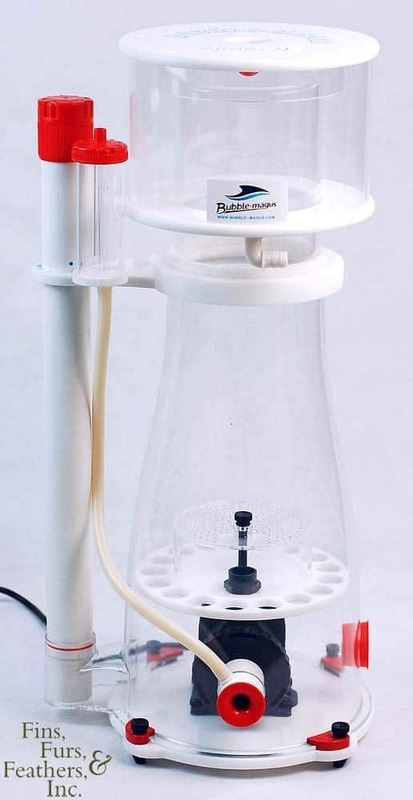 The Bubble Magus BM-Curve 9 Protein Skimmer is a device made for aquariums that is used to remove and eliminate all the organic compounds from the water. This includes leftover food, gunk, unwanted algae and bacteria, feces, and so on. You get the idea. 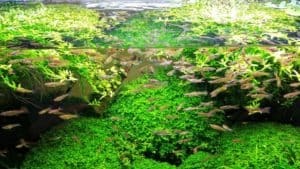 It is not an aquarium filter or a CO2 supplier, like many people confuse it with. With that out of the way, let’s see what makes the Bubble Magus BM-Curve 9 Protein Skimmer so special? The BM-Curve 9 Protein Skimmer is undoubtedly a very well made and well designed product. It is a tad bit on the large side with measurements of 9.25 inches in length, 11.6 inches in width and 23.6 inches in height, but we are totally cool with that since it made for larger tanks with higher capacity. The entire and complete setup is inclusive of a needle wheel pump with a venture intake is responsible for producing the perfect sized air bubbles, a bubble plate to manage the chaos in the reaction chamber, a beautiful and functional curvy skimmer body which allows the foam to easily rise to the collection cup, a much needed air silencer, a quick-release collection cup and skimmer body for easy cleaning. You furthermore have a collection cup drain to make sure you don’t have to clean it as frequently, and then finally, you have a footprint that allows you to install the whole thing effortlessly. The SP4000 internal pump is definitely a highlighted component in the entire BM-Curve 9 Protein Skimmer. It obviously does A LOT. But it most functional and useful job, as mentioned previously, is to regulate the size of the air bubbles. The pump on the BM-Curve 9 Protein Skimmer, much like all the pumps on the Curve series, is very much replaceable. You have a small red plug on the bottom of the skimmer. All you have to do is just pull it out, take out the factory pump, insert the new pump of your choice and then attach the red plug back. Pretty neat, right? And then finally, you have your capacity. The Bubble Magus BM-Curve 9 Protein Skimmer is powerful enough to skim through tanks as high as 400 gallons! And yet, it can still be just as efficient and consistent on a tank that is as much as 200 to 250 gallons. 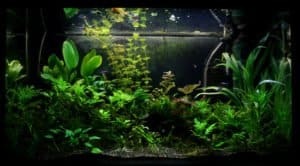 For a smaller tank like 150 to 180 gallon you can go for Bubble Magus Curve 7. Is there a size smaller than the Curve 9? Answer: Yes, there is. You in fact have 2 sizes smaller than the Curve 9. If you want a size smaller, then you have the Curve 7. And then you also have the Curve 5 for even smaller aquariums. 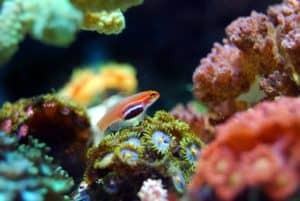 For nano reef tanks you need nano protein skimmers. What is the foot print on this thing? Answer: The footprints are as follows: 9.25 inch x 11.6 inch. Design your sump accordingly to accommodate the skimmer and other equipment! How deep does the water of my tank/sump need to be for the Bubble Magus BM-Curve 9 Protein Skimmer? Answer: We’d say about 8 to 10 inches deep, but we have users who use it in tanks as low as 5 inches below the water level. Answer: To be honest, it’s a tad bit too heavy for us. I mean it does not scream and we have definitely heard much worse, but for the price of the Bubble Magus BM-Curve 9 Protein Skimmer, we obviously expected a more hush. And as much as we got to know through our research, the company does not even offer any warranty for this issue. Answer: The pump runs on 20W, 110V 60Hz. One thing is for sure, the Bubble Magus BM-Curve 9 Protein Skimmer is definitely doing some things right. Although it does have some questionable flaws, it still manages to get its job done. And done rather well too! If you have a massive tank, and don’t mind a little noise, both from the skimmer and the customer service, then the Bubble Magus BM-Curve 9 Protein Skimmer should make the cut for you. We like it! And with that, it’s a wrap to our review of the Bubble Magus BM-Curve 9 Protein Skimmer. We hope you got a lot of inside details and information. Thank you for staying with is and we will see you next time. Cheers!